How about writing in a wooden pen? It is has a tinge of uniqueness suffixed by a trail of creativity attached to it. 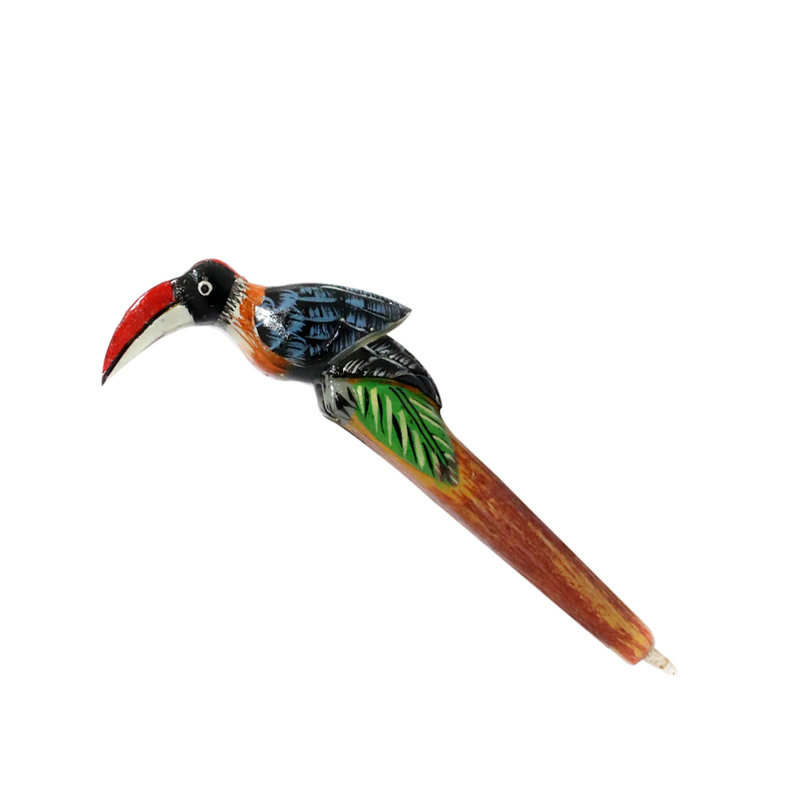 The wooden Read More..pen is disguised within a body of Toucan bird carved out of wood. The nib of the pen is towards the tail of the bird and its head acts like the upper portion of the pen. Show Less..